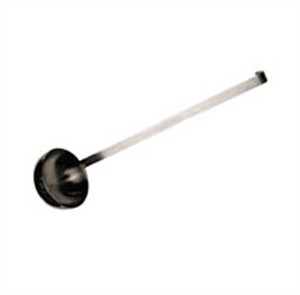 With a 12" handle, the Winco LDT-1 2-Piece Stainless Steel Ladle 1 oz. makes doling out small 1 oz. portions of dressing, gravy, condiments and more a breeze. Lightweight, featuring a 14" long hook handle, this ladle with a highly polished finish, also has a practical 2-piece design making it economical and dishwasher safe.